There's a lot to consider when it comes to arranging your furniture. How many people will eat at your dining table? Will your dining room serve multiple purposes? Where should everything go? 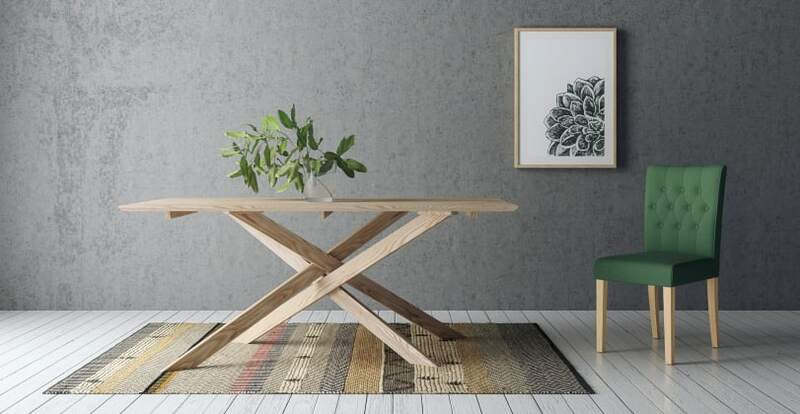 If you’re yet to get furniture for your dining room, this short guide will be your saving grace. If you've already purchased furniture, this guide can also help you get the most out of what you have. The table will often be the first thing you put in your dining room. Be sure to leave about a meter of space on each side of the table. You want everyone to be able to get around the room, and table, as easily as possible. A meter of space will also give everyone room to pull their chair out and sit down comfortably. You should also consider where the room's doorways are. It's best to keep the dining table far enough away from doorways. This way nobody will get hit by a door when getting up to get seconds. It also keeps the room easy to get around in. Similarly, it's often best to keep the dining room furniture out of the primary pathway between rooms. Think about the quickest route from one room to the next, and try to keep the furniture out of this path. Nobody wants to walk into a room, and then around all of the room's furniture, just to get to the next room. You'll want to place the table where it will receive proper lighting. If you have ceiling lights or a chandelier, placing the table underneath will work. If you don't have overhead lighting that can work with where you want your table, windows and standing lights can do the job. Placing the table by a window provides the table with a nice natural light that makes daytime meals comfortable and relaxing. At night, however, you'll need lamps or other forms of lighting. A rug can serve multiple purposes. It protects your floor from scratches and stains. If you have children, pets, or if you host family dinners, an easily washable rug is a sound investment. Rugs also can serve to define a room's space. If you have a large dining room, a rug can make the dining furniture appear to fill the space better. The dining furniture may otherwise seem insignificant and small in a larger room if there is no rug. You can also use a rug to bring out certain colours of your chairs and table. If you have chairs with a bit of red in them, then a rug with red can tie the look of your room together. Also, rugs are comfortable on the feet while you're sitting down at your table. If you decide to get a rug, consider getting one that extends about a meter or more on each side of the table. This can prevent chairs from catching the edges of the rug when pushed in. Will your dining room be used for fancy feasts with many friends or intimate meals with only a few people? A dining room can have many functions. The role and shape of your room will determine the shape of the table you need. If you will need to host meals for a lot of people, a larger table is in order. Long rectangular tables are ideally suited for these events. A circular table can also work and makes conversation between everyone at the table a bit easier. For smaller groups, square and circular tables are preferable. These kinds of tables keep everyone close together and won't have a lot of unused space. 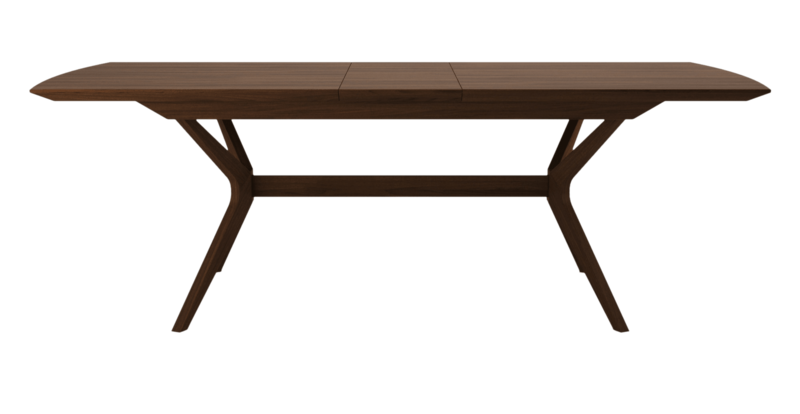 A rectangular table may be useful for smaller numbers of people if the dining table serves another purpose. Rectangular tables work great for doing work on in between meals. Perhaps the dining room will also be used for game nights. In this case, a circular table might be your best choice. A circle table lets everyone sit the same distance from a game board or deck of cards in the middle of the table. When placing dining chairs, leave enough space to the left and right for each person's elbow room (and personal space). You also don't want too many chairs around your table for the same reason. You shouldn't have to squeeze chairs next to each other to fit them under the table. You may want your dinner guests to get to know each other, but they don't need to know each other that well..
Smaller-sized rooms may encounter a problem with a table completely surrounded by chairs. One useful tip, in this case, would be only to surround part of the table. 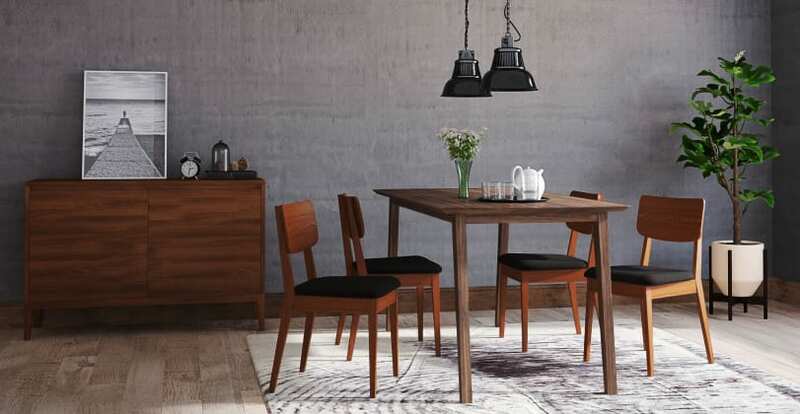 Keep only enough dining chairs around the table for everyday meals. 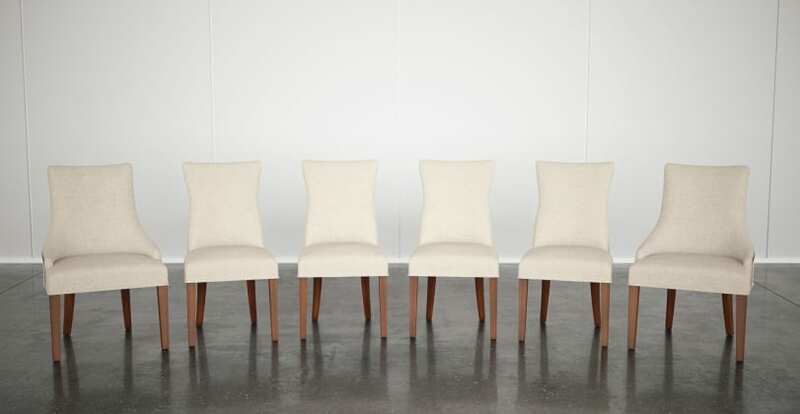 Then, for special events where more chairs are needed, you can grab chairs from other rooms for your guests. This keeps the dining room less cluttered and more comfortable to be in on a day-to-day basis. A final touch that you can add to your furniture arrangement is a centrepiece. Centrepieces should complement or match the furniture — it should have the same colour palette, style, etc. Flowers in an appropriate vase are always in style. Candles and other decorations can also look great and draw attention to your wonderful furniture arrangement.